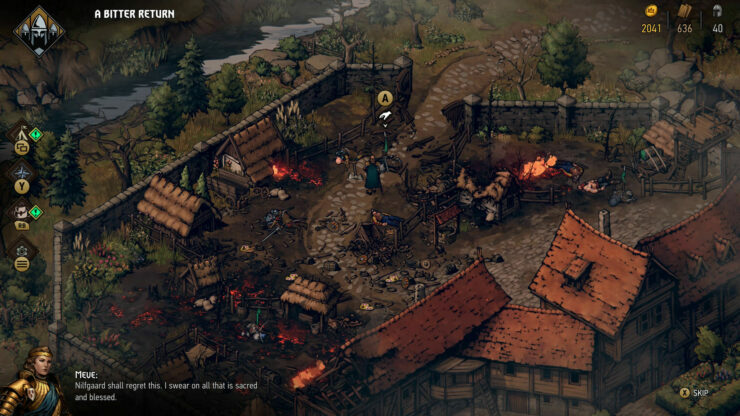 Thronebreaker: The Witcher Tales, the new RPG from CD Projekt Red, is releasing later this month, and the team recently gave another look at its gameplay experience. In a new developer stream, members of the development team show more of the game’s features and mechanics. Outside of the GWENT-powered battle system, the game definitely feels like a new entry in the popular series, complete with well-written dialogues, choices and more. Thronebreaker stars Queen Meve of Lyria and Rivia, a war-veteran queen who’s facing an imminent Nilfgaardian invasion. Throughout the adventure, players will explore new and never-before-seen parts of the world, embark on thought-provoking quests featuring rich, multidimensional characters. All while gathering resources to expand their army and engaging in epic story battles powered by the skill-based battle system known from GWENT. Thronebreaker: The Witcher Tales launches on October 23rd on PC and on December 4th on PlayStation 4 and Xbox One. On the same days, GWENT officially comes out of beta and releases officially. Announced back in April, Homecoming introduces significant changes to GWENT: The Witcher Card Game, fleshing out elements which made the original Gwent from The Witcher 3: Wild Hunt a community favorite. The update also incorporates gamer feedback developers have been receiving throughout the game’s Public Beta. Among others, Homecoming includes a complete rework of the game’s board into a fully three-dimensional battlefield featuring two distinct rows, a redesign of the game’s visuals now in sync with the dark and gritty feel of the world of The Witcher, a new deck building experience, as well as new card mechanics.